Claim reimbursement is a cumbersome process for both the employees and the employer. Technology startup Zeta aims to make this process almost real-time through its digitized employee benefits solutions. 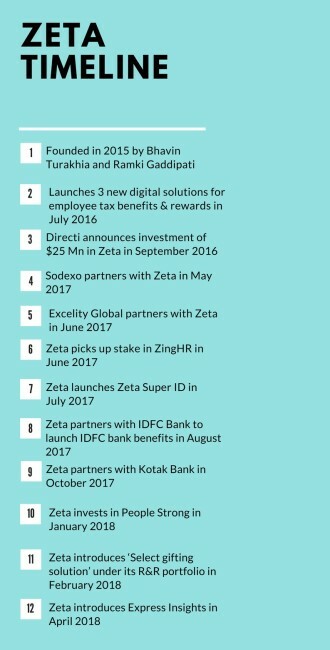 When Bhavin Turakhia and Ramki Gaddipati founded Zeta for digitizing employee benefits in 2015, they were not trying to solve just one single problem. “If you look at it broadly, there is a whole lot of paperwork that's done in HR processes and various enterprise processes to establish evidence that a financial transaction has happened,” explains Ramki. So for instance, if an employee has bought food on a recruitment trip, he has to inform the company of the expense incurred and then reimburse it. The process of establishing that he has incurred the expense includes having those receipts and filing them with the company. And this is done multiple times a day in any organization. Both the co-founders felt it is an insanely cumbersome process and has been neglected for years. “We realized we needed to eliminate paper from everywhere. We just took this common enemy that everyone fights against-paper and figured how exactly we could fight it out in various HR systems,” reveals Ramki, who is also the CTO of the startup. That’s where Zeta’s journey started. When the duo looked at the entire space, it so happened that employee’s expenses and benefits space was fraught with paperwork. But as they started reaching out to the HR community, another realization dawned on them. While the purpose of employee benefits is to motivate and engage employees, however, HR had no clear visibility to gauge if these objectives were being met. Also, the tools being used by HR are pretty much information consumption tools which are neither actually engaging employees with the benefits nor are they helping HR to ascertain if these benefits are delivering the intended goal. These insights allowed helped the founders create Zeta the way it is. 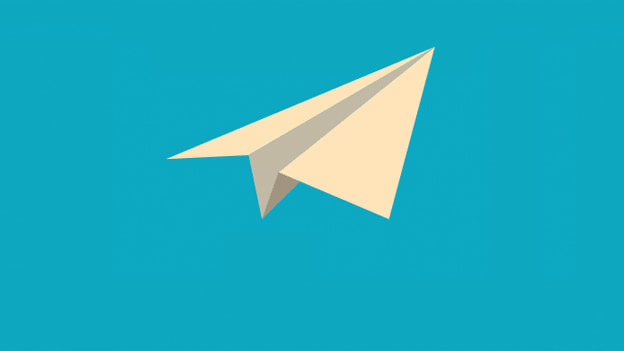 To start with, Zeta digitized the meal voucher space, so that there is no dependency on paper. Zeta Express was created to make sure that cafeteria transactions are extremely simplified. Similarly coming to medical and fuel reimbursements, the startup integrated these transactions into the payroll system completely and eliminated the need to claim for them separately. This enables employees to claim and reimburse almost in real-time. “What would have otherwise taken 15 days to 45 days now happens in real time,” claims Ramki. A similar approach was followed for other reimbursements such as leave travel allowance, books, and periodicals. 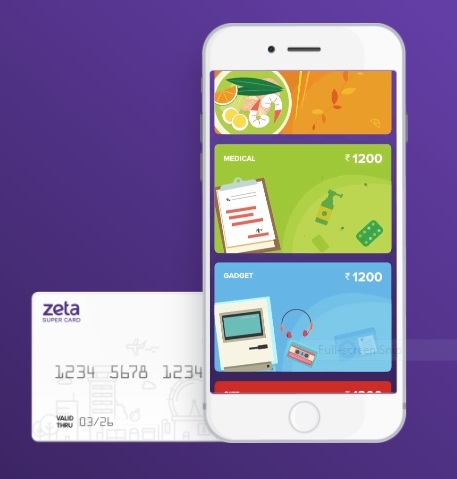 Today, its product suite consists of cloud-based smart benefits suite called Optima which includes benefits such as digitized meal vouchers, fuel and travel card, communications card, medical reimbursements, gadget card, gift card and LTA card; Zeta Express payment solution aimed at making corporate cafeterias cashless comprising of the Zeta Super Tag, Zeta Kiosk, Express Remote Ordering and Zeta Super ID; and rewards and recognition programme one-stop gifting solution Zeta Spotlight. Apart from these, the system can also be configured to add any additional benefits particular to a company. The solutions enable HR to make the entire process transparent for their employees. Otherwise, once an employee submits a paper claim, they don't know what's happening with it and when will they get their money in the bank. With Zeta, this whole information is at their disposal and they can understand the complete life cycle of the claim. On the other hand, the HR also gets a clear idea about the adoption of a benefit and the value that employees can realize from the benefit. And the proof is in the pudding. Over 13,000 companies now use Zeta covering 1.5 million employees, amounting to over 14 million transactions a month. The companies pay for the service they are taking on a per employee per annum basis. This varies from customer to customer depending on the number of benefits they are administering. Last year, the startup also partnered with Sodexo, IDFC Bank, and Kotak Bank, pointing to the rising popularity of digitized employee benefits. While Zeta has amassed over 13,000 clients over the last couple of years, it is not alone in this space. SmartQ is one such startup which enables a digital cafeteria experience across different sectors including corporates, malls, multiplexes, stadiums, hospitals, and colleges. Another competitor is HungerBox, a full-stack food tech company that is focused on the B2B space. It operates with over 100 digital cafeterias and more than 75 corporate clients, including Qualcomm, Microsoft, FirstSource, among several others. Another company to enter this space this year is digital wallet company MobiKwik, which launched Magic, a SaaS-based platform for end-to-end corporate processes, rewards, and reimbursements. Bengaluru based employee benefit and payroll management startup NiYO Solutions is another startup in this space. Last year, digital payments company Paytm had also made its foray into the employee benefits space with the launch of its Food Wallet where companies are allowed to load food allowance to employees under the government’s approved tax redemption bracket. Ramki however believes that each of them is attacking a small piece. For instance, HungerBox is predominantly in cafeteria solutions. But none of them offer a comprehensive solution to HR for complete visibility into their benefits administration, utilization, and adoption by employees. This is where Zeta believes it scores over others. In today’s rapidly digitizing world, digitization has a clear potential to increase the appeal of employee benefit systems in organizations. Today’s organizations are more focused and more customized for the needs of employees and digitization of benefits enhances an employee’s work experience, thus leading to better employee satisfaction and increased employee retention. However, there are still many organizations in India that are still behind in digitization of employee benefit systems. In fact, a recent survey conducted by Zeta revealed that 62% employees find the claim submission process is time-consuming. Out of the 194 companies surveyed, 94% of companies still use complex and time-consuming paper-based processes when it comes to managing these employee tax reimbursements. Hence Zeta believes that it is at the very beginning of an exponential growth in this space. Zeta has the potential to tap these organizations and their employees as they become part of the digital landscape. More so, with the RBI dictating last year that all meal vouchers shall be in the electronic form from 2018, this space will see a huge growth in the coming years. “I always ask an obvious question. Does anyone like paperwork? So what we are doing at Zeta is an obvious thing. I wonder why it wasn’t done before.” concludes Ramki. But how much of a target market share can Zeta acquire as it fights paperwork given the rising competition will be interesting to watch out for. NEXT STORY: HR practices: What are the points to keep in mind?